My friend Patty gave me a scrubby (purple one) she made following Diane Sullivan’s video and using Red Heart scrubby sparkle yarn on a mid gauge machine. I love these scrubbys the best. I bought one at a craft show last year and they are my favorite. They are light, wash well in the washing machine and hold up in the dryer. And you don’t even have to put them in the dryer. Let them air dry. Well, I don’t have a mid gauge machine so I bought some yarn and decided to try one. I used every needle on the Brother standard machine and it was too tight. Then I tried the Brother Bulky and it was too large. Then I tried every other needle and tension 8(her tension in video) on my standard machine and it would not go into a circle when I finished. I finally turned the tension up to the highest position and the mast tension to the loosest setting and it came out very close in size and weight. Here is what I did . Set up every other needle from 41 left to 40 right. Push back to non working position every other needle. You will have 3 non working needles between each working needle. Put yarn in and knit one row to the left. Hang comb. Bring into work the middle needle from the NON WORKING needles. Your set up will now be every other needle. Knit across row. 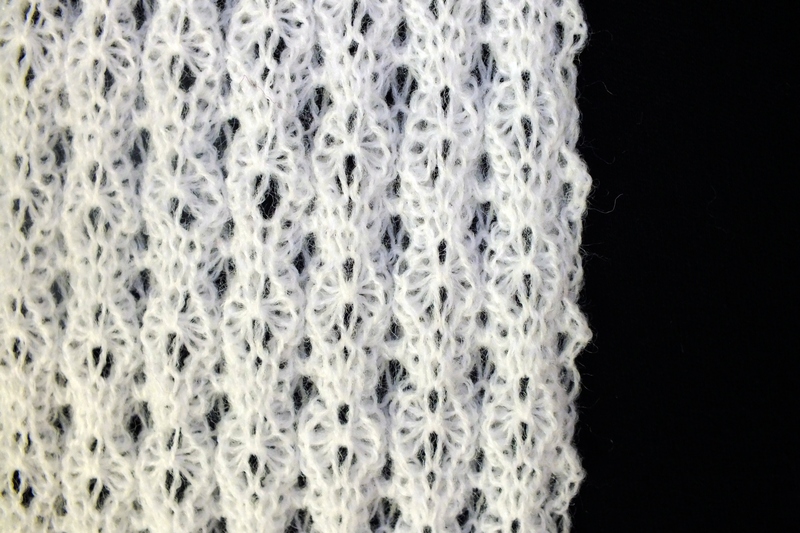 This is a weaving cast on so you can gather the stitches when finished. Knit 30 rows . Carriage on the right. 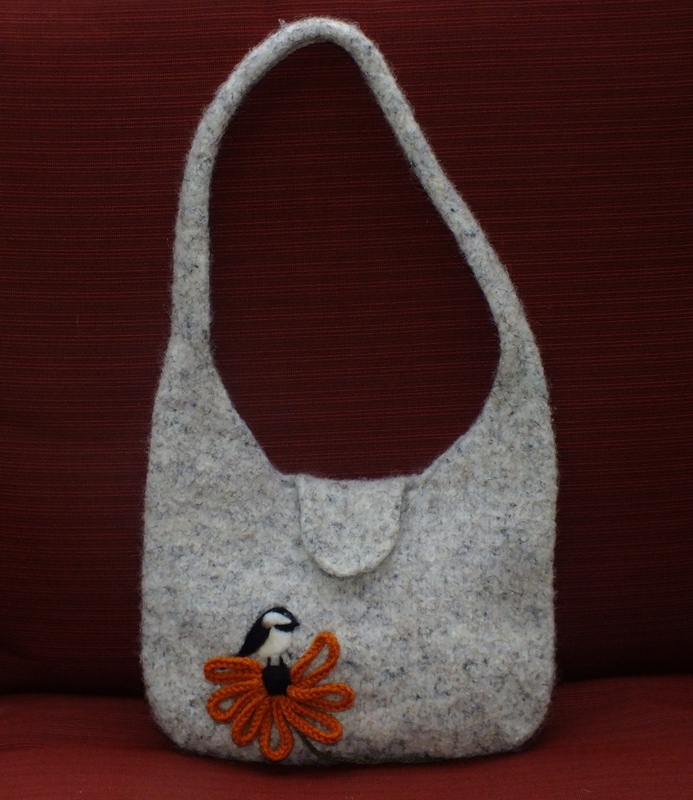 Cut yarn and take work off on a bodkin and gather stitches. I was able to make six scrubbys from one ball of yarn. I paid $2.50 at Joannes for the yarn . It was $5.00 but I had a 50% coupon. So the cost was 42 cents a scrubby. Suggestion: When you start and finish, do not leave a long tail of yarn because it gets longer when you gather stitches. Only leave about a six inch tail . It will then be long enough to sew up the side. I only had about 12 inches of yarn left after my last scrubby but I did some of them at 32 rows and some at 30 rows. 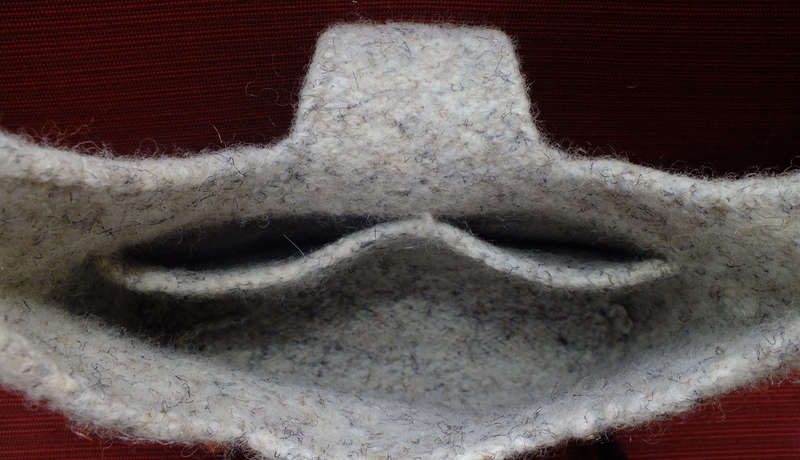 Watch Diane Sullivan’s video on how to make a scrubby on the mid gauge machine for more detail. Oh, on a funny note, the power went off so I decided to knit since I could not run the sewing machine. I finished all six of the scrubbys and walked into the kitchen and the power came back on. Do you think it was an omen for me to get back to knitting? lol I am glad it brought me back since all I have been doing is sewing. Here is my latest sewing/quilted Christmas wall hanging. I will be knitting again since I saw a cute poncho I would wear in one of Charlene Schaeffer’s knitting books. 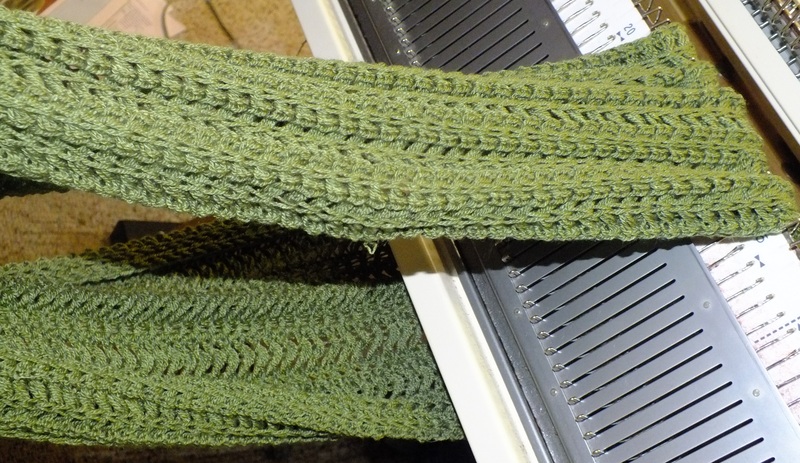 I made Marg Coe’s Dishrag on my Passap 6000 using sock yarn. I wanted to try more short rowing on the passap. I love the pattern but I wanted the size larger since the first one came out the size of a coaster. I also wanted to use it as a doily since I think it is so pretty. Marg has given me permission to share her dish rag pattern with you. 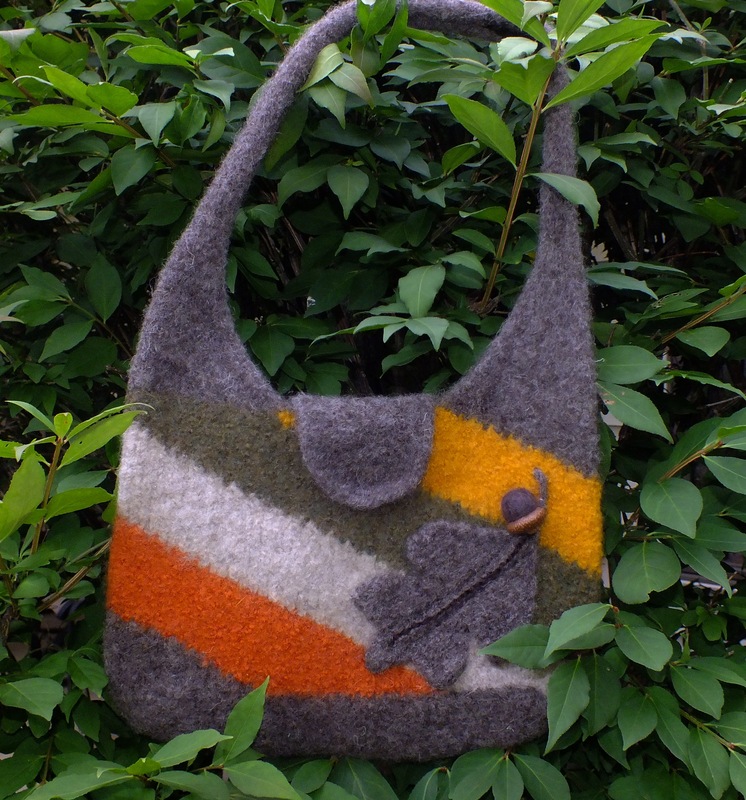 It is made using the Bulky machine and that is why there are only 15 stitches used in the pattern. On my second attempt to enlarge the pattern I was successful. There are twelve wedges in the pattern and I was able to knit three wedges in 45 minutes. It is easy to do but you have to really keep track of where you are. I have shown a method to follow in my directions so you don’t mess up. It is not fun unravelling the pattern. 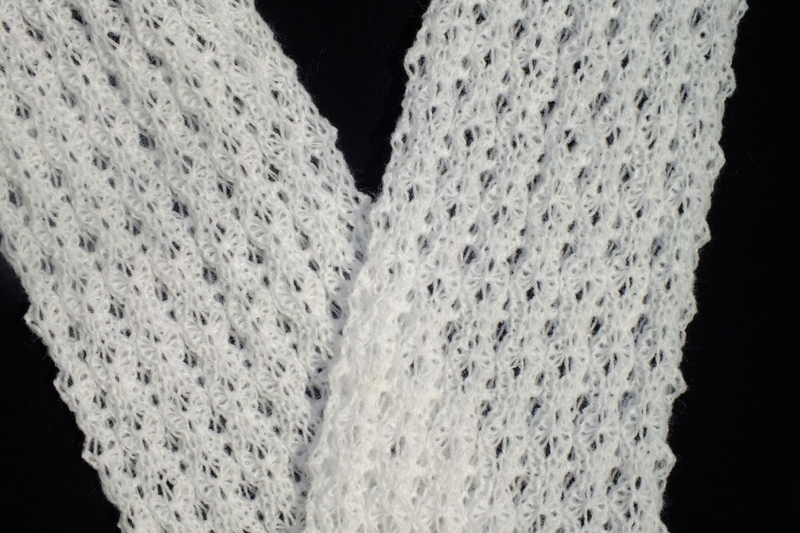 Here is the drop box link with Marg Coe’s dishrag pattern for the bulky or LK150 and also my instructions on how to make a large doily using her pattern on the passap. 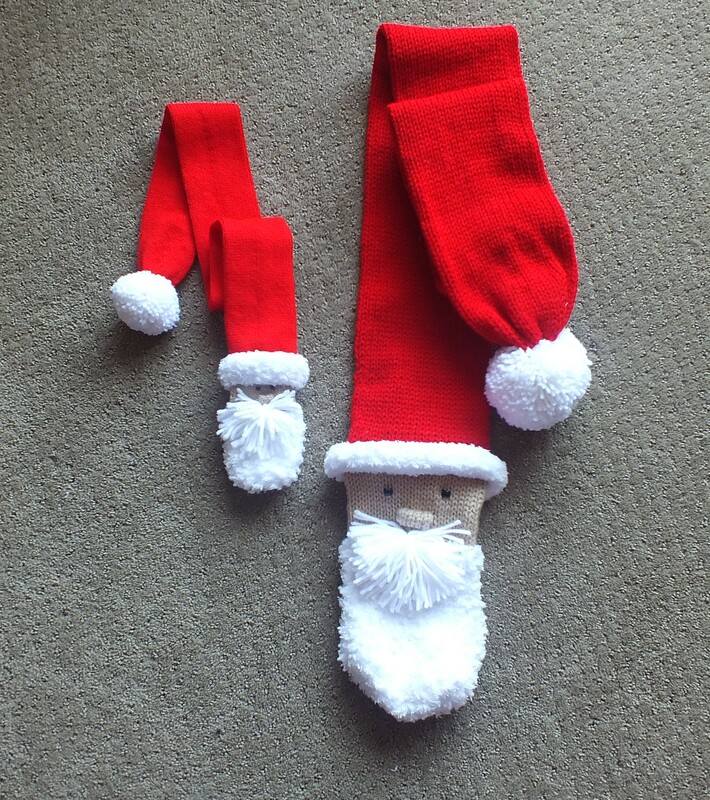 or you can google “machine knitted Santa Scarf” and you will see several similar and different ones. 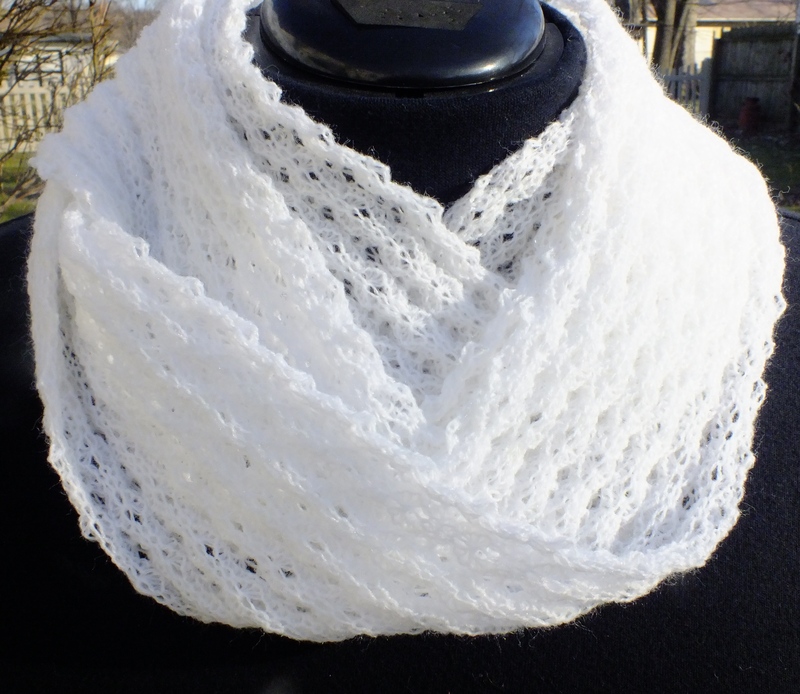 I used yarn that I had except for the white that is called pipsqueak. I bought it at Joanne fabric store on sale for 2.69. The large red one is Red Heart and so is the white for pompom. I did the white beard for both of them on the Bulky machine . For the little scarf I used 22 stitches on the bulky to fit the width of the one for the passap. I know my nephew will laugh and his girlfriend is so cute she will love it. I made another afghan from Lydia’s Afghans Series 1. This is a housewarming gift for my niece and nephew. They retired to Alabama. They have a brown leather couch and beige walls. When I downloaded the pattern I wrote down the color for the masts. Well, I put the wrong color in mast two and that is what you see to the right. It is a little darker than the picture and while it was pretty , it was too dark. So I dropped it from the machine and knitted it with brown, tan and bone color. I would have loved to add another color to add “pop” but don’t know her accents. 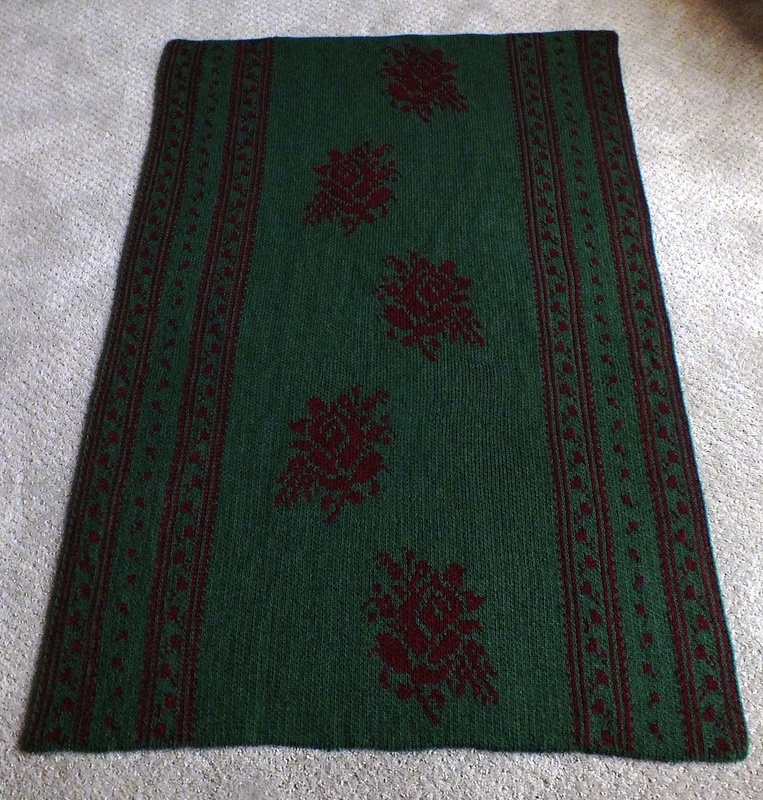 I made this afghan to the specified size and it is 36 inches wide by 72 inches long. My passap is behaving so well and making no mistakes so I am off to do another for my sister and brother in law for their vacation trailer. When I picked up that Passap machine for my friend S2, there were several patterns and books. 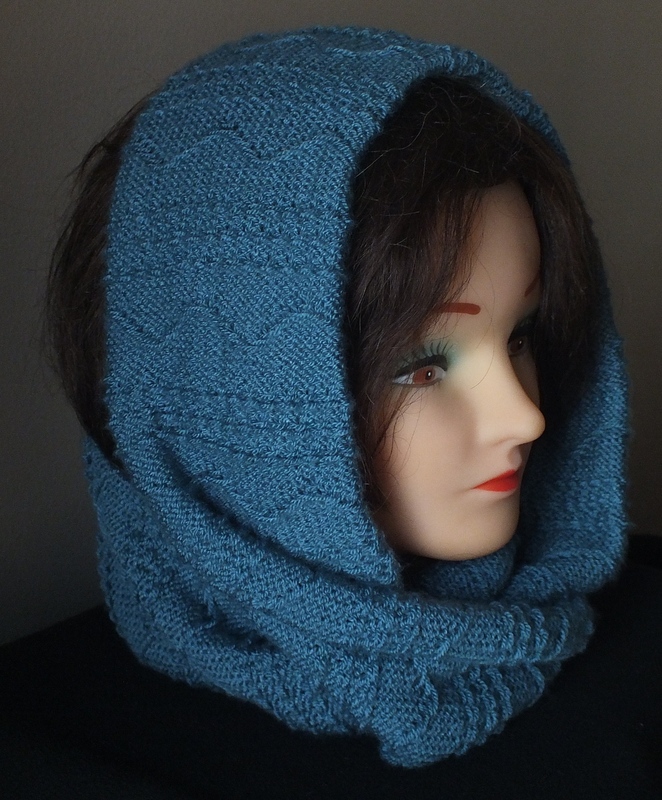 Two of the patterns were Lydia’s Afghan Series 1 and 2. What surprised me is the floppy disk was with them. So I put the disk in my computer and I was able to get the files into win/crea. A couple of things happened. The directions are for Creation Six . It said that the afghan was 1344 rows. Now I am on 560 and there are four roses on the blanket which is what the pattern was . So I figured it just started repeating. Yep, but when I looked at the directions it was telling you in creation six to load the pattern B. I think it is sort of like using the reader sheets. So I ignored all that and knitted till I finished one more rose . Then I knitted four rows plain and bound off. The colors are moss and cranberry. The technique was 187 and I used two strands of 2/24. I used a tension of 5.. on both locks. I did the racking cast on and then followed her cast off and I like it. In her directions she says when you are finished, cor, locks at N/N knit one row to the left. Change tension to 7 on both locks and knit one row to the right. I then took off on waste yarn knitting circular. She has you just keep knitting N/N with waste yarn and then steam last eight rows of waste yarn and the first two rows of the afghan and remove waste yarn and latch one stitch through the next. It was easier taking it off circular and then sitting and latching one stitch through the next. 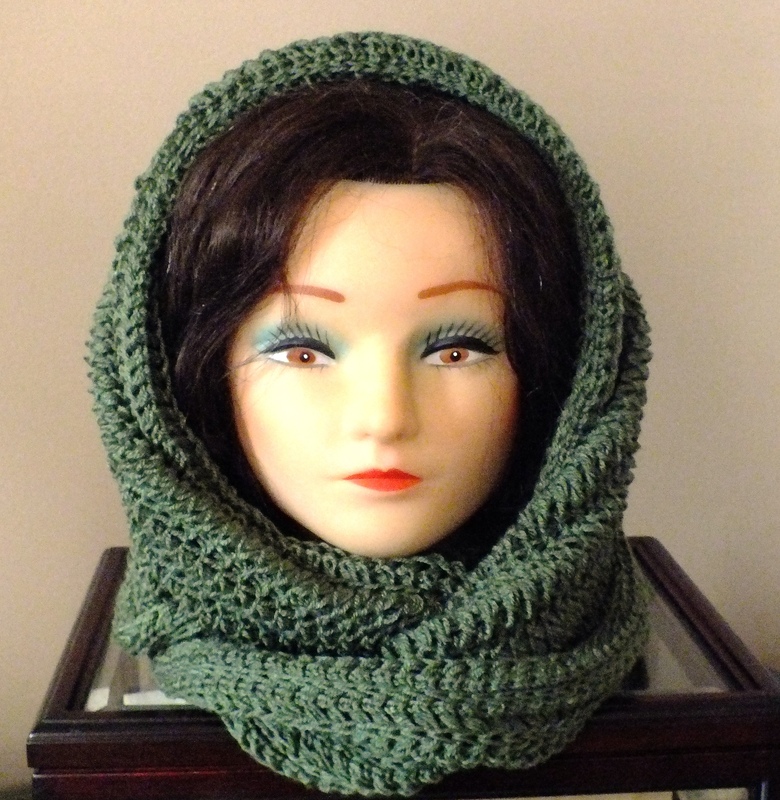 I had so many visions on how this cowl was going to turn out but it was nothing like this! 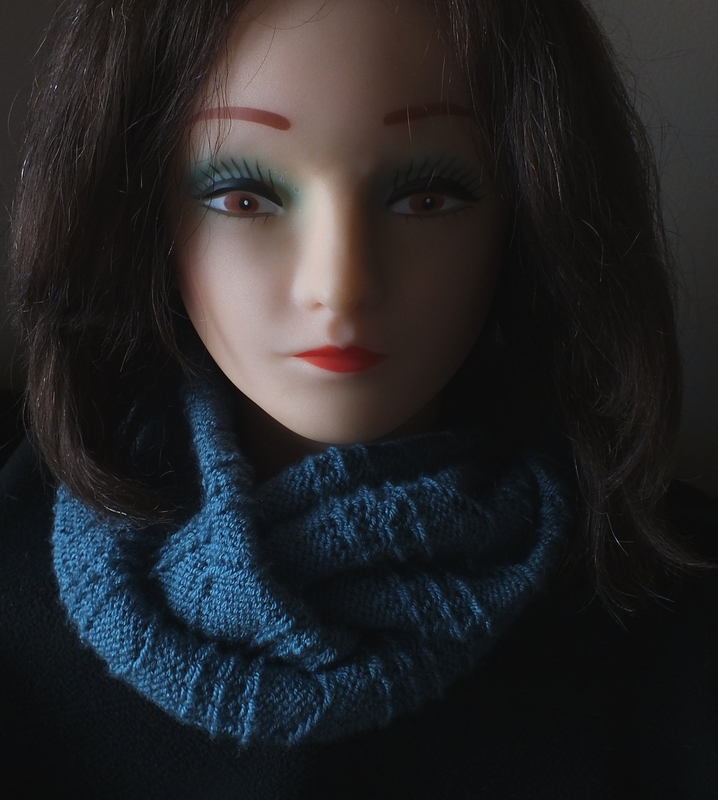 I used Woolike yarn from Michaels in Teal color and a slip stitch pattern from the Brother Book-No. 158. I was happy to only knit 524 rows instead of 664 . I was planning on doing a roll edge on the sides of it. It really looked nice but had to do two strips for one edge so there would have been a seam. Okay, no problem. Did that. It did not look good when it was wrapped around the head. So I took that off and decided to crochet the edges together with right sides together and then turn inside out. LOL, I ended up with a tube within a tube. Took that out and I did not want to crochet the edges since what I sell them for is so minimal that it would not be cost effective. So, I sat and sewed the seam up by hand and it looks nice. I wish it was wider to do it this way but it is still different. And even though this is double layer, it does not feel bulky or heavy and still drapes nicely. Here are the directions if anyone wants to try this. Just increase 12 stitches if you want this wider before sewing together. After I made the fishermans rib scarf I started to think about a reversible pattern that I did before. I found it in Dec 2013 in my blog. I decided to try the technique 155 which gives a lacy pattern on both sides. 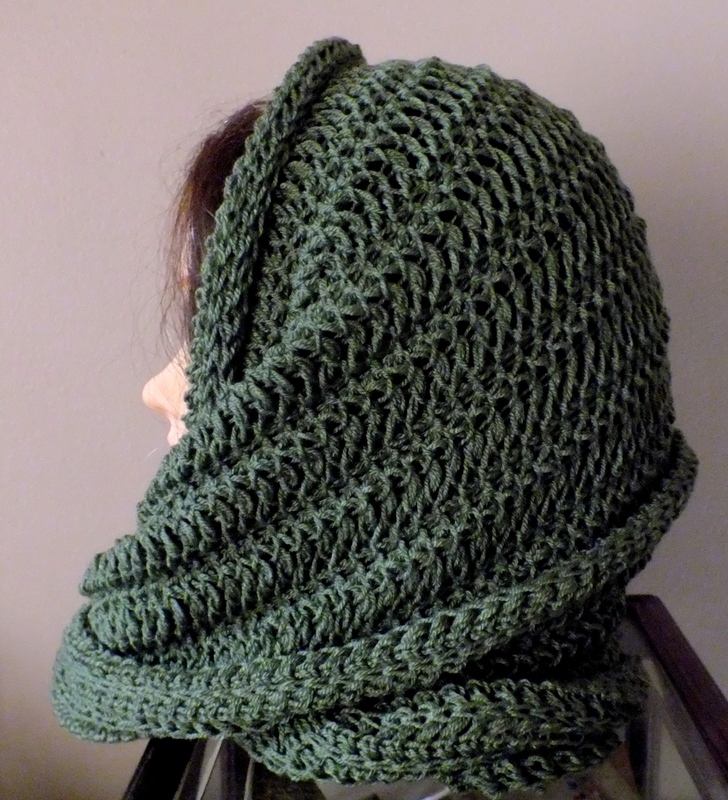 My thinking is that when you wrap the scarf , both sides look good. I like the outcome. I did not steam the scarf since I liked the width, but mostly since I like the edge. It looks like picots. If you follow the needle set up I used yours will come out the same way. 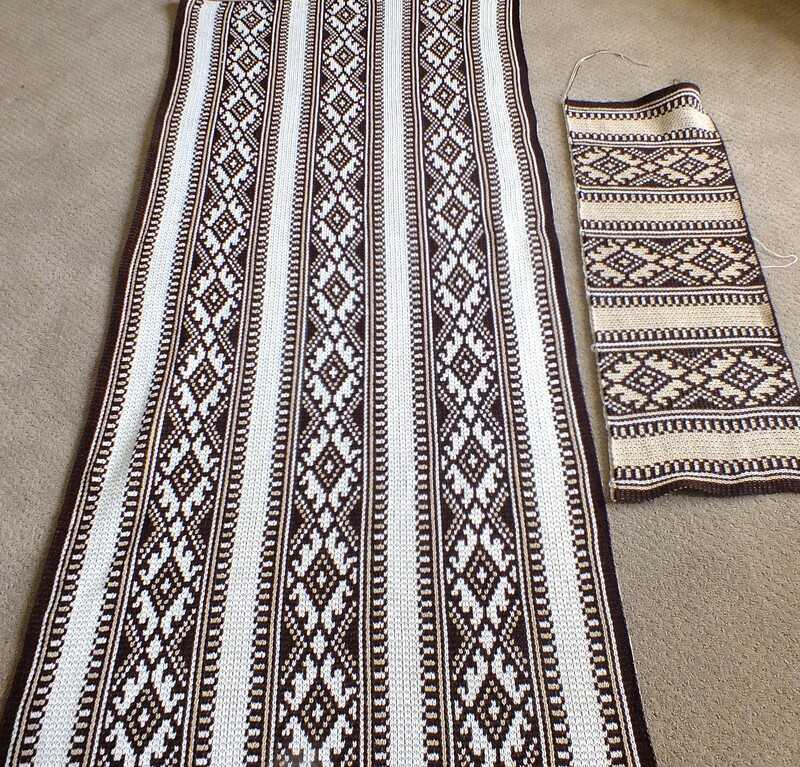 I knit 868 rows using two of the heavy weights. Further instructions are in my drop box at this link that include the cast on and cast off.